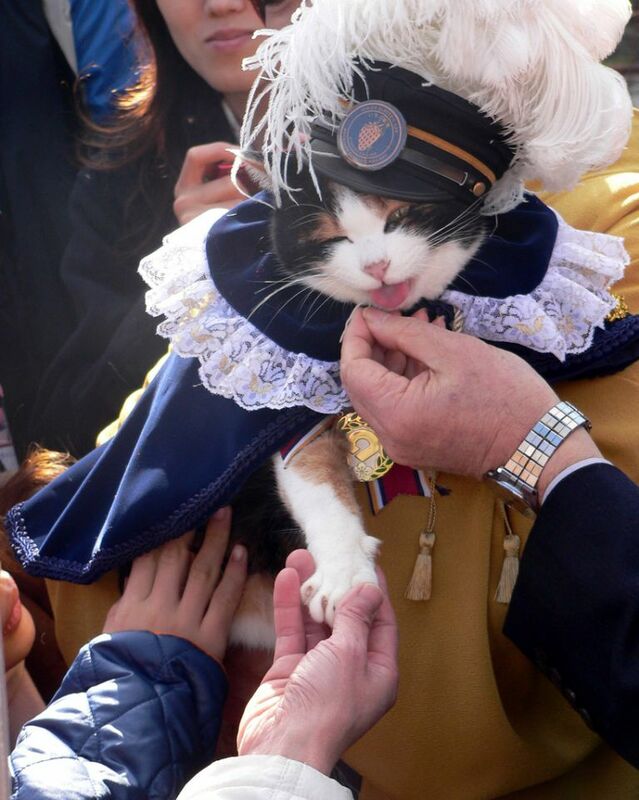 Thousands of people from around the world bid an emotional farewell to Tama, the famed and beloved Stationmaster cat, at her funeral in Japan on June 28. 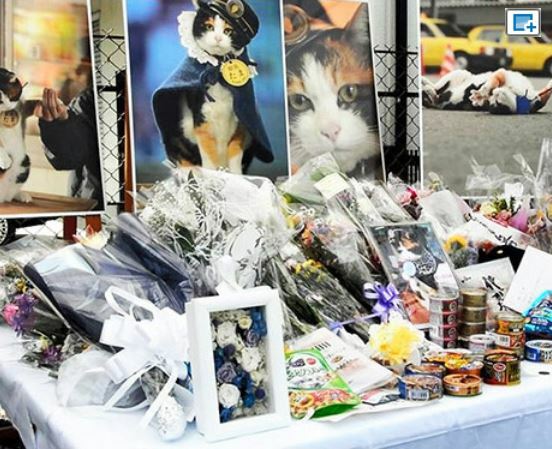 Thousands of people from around the world bid an emotional farewell to Tama, the famed and beloved Stationmaster cat, at her funeral in Kinokawa, Wakayama Prefecture, Japan on June 28. About 3,000 people attended the Shinto ceremony at Kishi Station, where the former stray street cat served as stationmaster, to pay their respects to the 16 year old calico who died of heart failure at an animal hospital on June 22. Wakayama Electric Railway Co.hosted the funeral, which was attended by Wakayama Governor Yoshinobu Nisaka, railway employees, local residents, and fans from far away, along with reporters from media outlets all over the world. Tama was elevated to goddess at the ceremony. The railway is considering erecting a statue of Tama at the site. At the funeral, portraits, ceramic dolls and the remains of Tama were placed at the “stationmaster’s office,” her favorite spot. People left memorial gifts of cat food and flowers. Tama is credited with saving the local railway line, which was struggling financially when she was appointed to her role in 2007. Tama drew thousands of tourists from all over the world to the station and was widely beloved. She brought millions of dollars to the local economy. The practice of having a cat stationmaster will be maintained. 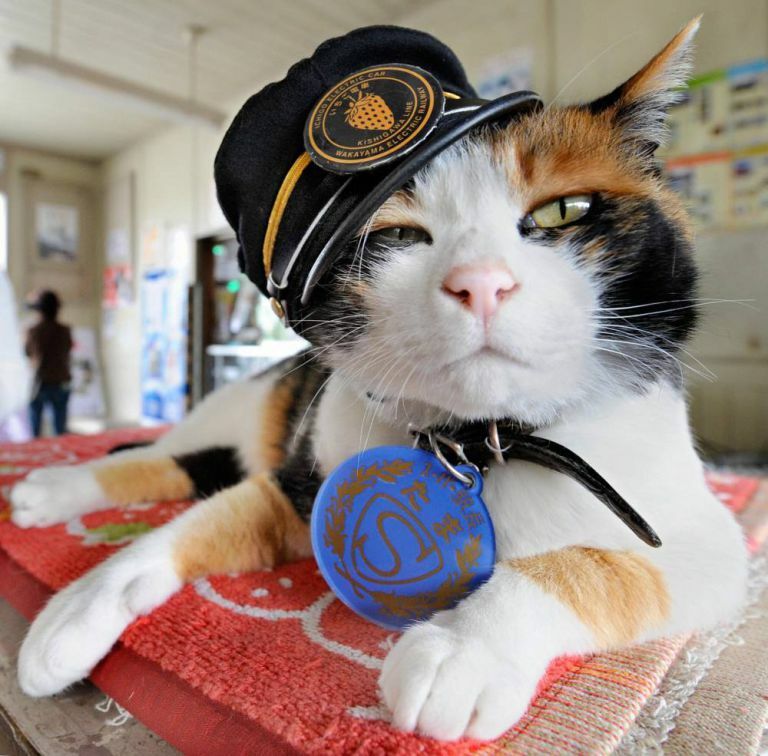 A cat named Nitama has been apprentice station master and may take over the stationmaster role. What beautiful people to honor this amazing cat ! It is so wonderful to see stories like this when things like a vet arrow killing a cat and goes free travels online. 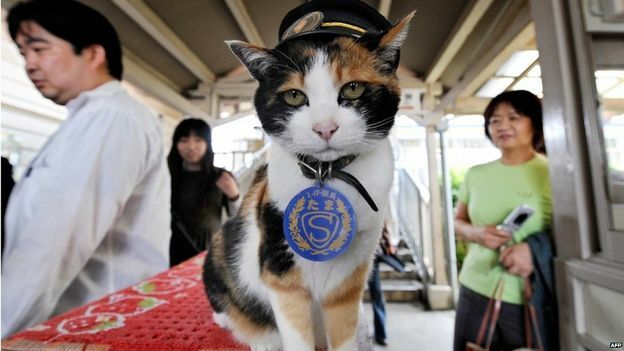 The Japanese people who love and honor cats and this gorgeous stationcat are just heroes !! Bless Tama at the rainbow bridge….and happiness to the upcoming stationcat…I am sure Tama will watch over her…..